Explanation: Japan launched its first mission to orbit Mars, Nozomi (Hope), on July 3rd from the Kagoshima Space Centre on the island of Kyushu. Nozomi's goal is to explore the Martian atmosphere and magnetic field as well as regions of the planet's surface and moons. Formerly known as Planet B, the spacecraft will use highly elliptical orbits with successive Earth/Moon flybys to help slingshot itself along its ultimate trajectory toward Mars, arriving at the red planet in October 1999. 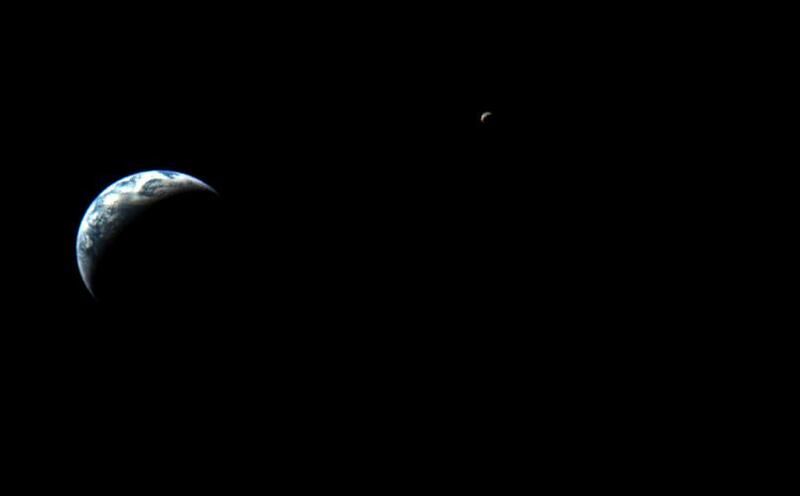 This stunning picture of the crescent Earth-Moon system was taken by Nozomi's onboard camera on July 18 from a point in space about 100,000 miles from the Earth and 320,000 miles from the Moon. 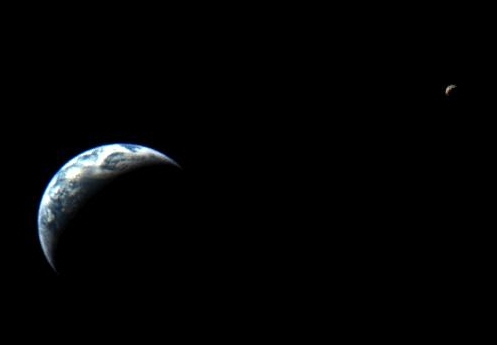 Vibrant and bright, the reflective clouds and oceans of Earth contrast strongly with the dark, somber tones of the lunar surface.